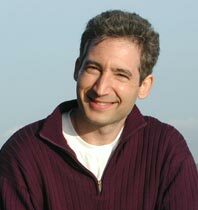 Brian Greene is a superstring theoretical physicist and mathematician with a flair for communications. This fall he has been hosting a public broadcasting series on the fabric of the cosmos, based in part on his book, brilliantly written, of the same title. Of course, the fabric of the cosmos is not about project management, but it is about complexity, and that's something we all endure in projects and in life. One principle Dr Greene writes about struck me as spot on: the more complex a system is, the more disorderly it is. In fact, the natural tendency of complex systems, if not otherwise constrained, is to seek disorder. On one level it's intuitively obvious: the number of communication paths between N devices approaches N-squared when N is large. Every communication path is a potential pathway to trouble. So, when I read the literature on Lean thinking, the ideas of small batches, limited backlog, and minimialist tasks is all the more striking. Maybe the lean guys are onto something! And the agilists and Kanban'ers have it going also: keep everything as small and simple as possible--like one sentence story cards and simple use case models--just like our friend Einstein counseled ("Make everything as simple as possible but not simpler"). Of course the simplest possible can still be complex, but at least we made the effort. And, one more thing: that principle we started with--it was developed in the 19th century as the 2nd Law of Thermodynamics. Who knew!? Leaving aside the very difficult issues related to the entropy of open systems, I would like to comment on the quadratic law of the number of communication lines. Statement of the quadratic dependence of the number of lines of communication among people is valid only for small compact groups, where there is a connection between all. With increasing numbers of people, each individual has connections only with its immediate vicinity or environment, which is one of the signs of rationality of large systems. For example, in the design teams with a hierarchical structure is almost no connection between the groups of lower level. Studies show that this dependence is nearly linear, rather with an increase in the number of people asymptotically approaches the linear dependence.